The youth is the nation's pillar, its future and the hope it aspires to achieve its goals and aspirations in its present and future. Iraq is one of the youngest countries in terms of age structure. In order to determine the actual reality of this large and important segment of the Iraqi society, a reliable and reliable database must be provided in building the national vision for youth (2018-2030), especially after the major changes that have taken place in Iraqi society in general and the youth sector in particular after 2003, A survey of this category was conducted only in 2004. The KAP2 Youth Knowledge, Attitudes and Practices Survey was conducted in 2004 and targeted the 10-24 year age group as well as the 2009 National Youth and Youth Survey (NYS) (10 30) years. It should be noted that the proportion of young people exceeded 27% and the proportion of economically active among this group does not exceed the rate of 38% and 5.7% of the mentioned category has not been enrolled in education as well as many indicators show the decline in the social and economic status of this category, The rapid changes that have taken place in the Iraqi society after 2014 and the associated events as a result of the occupation of gangs and the encouragement of some cities and governorates and the great societal demographic changes. Therefore, the Central Statistical Organization intends to implement the National Youth and Youth Survey for 2019 in cooperation with the Ministry of Youth and Sports, the Kurdistan Region Statistics Authority and the corresponding bodies in the Region, with the support of the United Nations Population Fund (UNFPA). One of the most important preparations for the implementation of the survey is the holding of training courses for the training of local supervisors and field researchers. 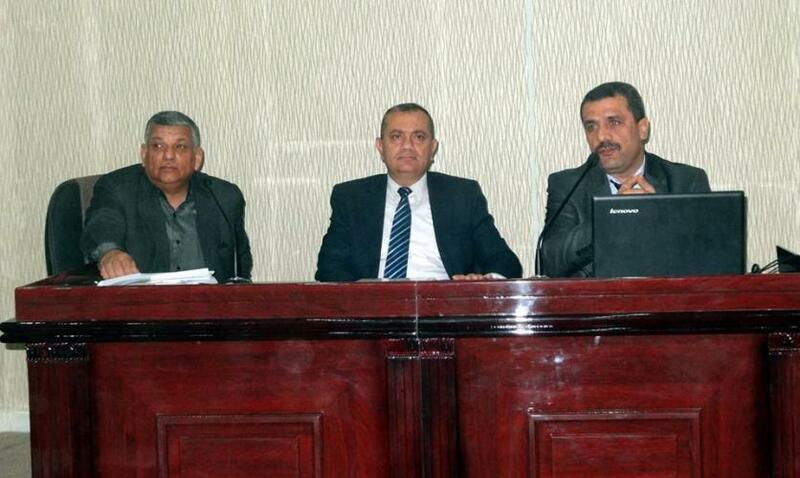 Therefore, the Central Statistical Organization held a training course for the staff of the National Youth and Youth Survey in the halls of the Central Euphrates Training Center in Najaf, and staff from the Ministry of Youth and Sports. The session was opened by Mr. Qusay Abdul Fattah Raouf, Director General of Technical Affairs in the Agency, stressing the positive role of youth in building societies and reflecting their development and civilizational building. He pointed out that the results of this national project are in response to the national need to integrate youth in the Iraqi national project, .